City of New Orleans (NOLA) boasts a booming tourism sector thanks in part to its unique culture, food, and historic architecture. NOLA has hosted many major events over the past few years, including the Super Bowl in 2013. During Mardi Gras season, thousands of travelers from around the globe visit NOLA to experience the festive celebration, which typically generates over $840 million in annual revenue for the city. Since the city hosts so many visitors from across the country on a regular basis, city officials need to be able to send major event and public safety notifications to anyone in the city who may need information or instructions during an incident. The City of New Orleans needed a system to send major event and public safety notifications with both citizens and employees around large events and festivals, resident alerts, severe weather, and fire and EMS operations. 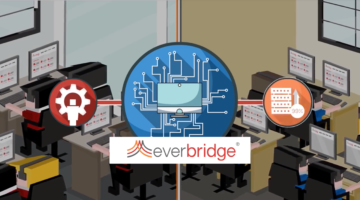 Everbridge provides the City of New Orleans with a method of quickly reaching intended recipients, on multiple contact paths and devices, with critical messages. Everbridge allows NOLA to send major event and public safety notifications as either on-the-fly messages or from pre-written templates city officials can create before an event begins.